Two UK Climate-KIC start-ups took home awards at the Shell LiveWIRE Enterprise Awards last night (23 March), including the coveted Young Entrepreneur of the Year title. Tom Robinson of Adaptavate, a start-up that produces construction products that outperform conventional products, whilst being good for people and planet, was named the 2015 Young Entrepreneur of the Year. The award, which also comes with £25,000 in funding, was for Adaptavate’s Breathaboard, a bio-based building product which locks carbon into the fabric of buildings, helping to mitigate CO2 driven climate change. 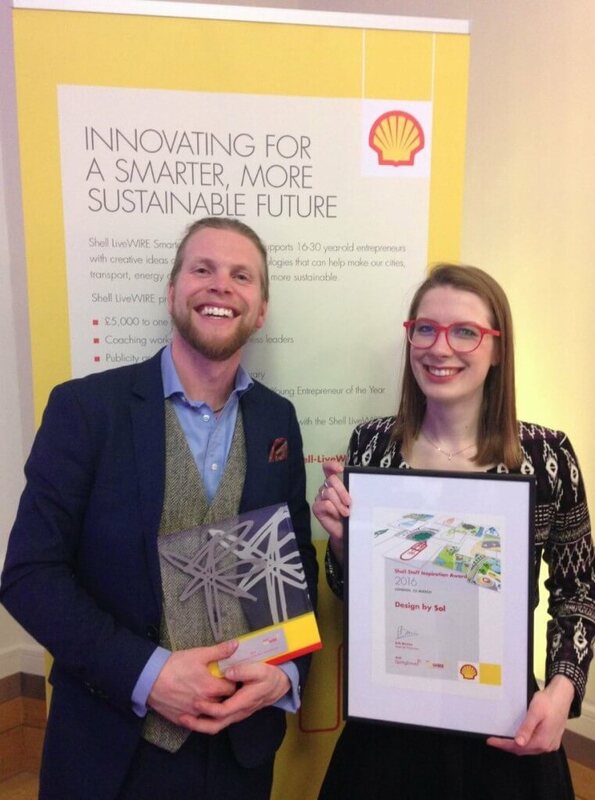 Solveiga Pakstaite picked up the Shell Staff Inspiration award for her start-up Design by Sol. Solveiga has developed an innovative, integrated, bio-reactive food expiry label, called Bump Mark, which is designed to indicate the conditions of food inside its packaging. The Shell LiveWIRE is run by Shell to support the culture of UK enterprise and to inspire entrepreneurs to innovate and provide real solutions to today’s energy and resource challenges.